A competitive gap analysis is a roadmap that shows you how to close the gap between your website’s current performance online and where you aim to be. Hire us to help you improve your position online. How many competitors do you review? How do you define competitors? Do you need access to analytics? What’s included in a competitive gap analysis? How is the competitive gap analysis delivered? Do you offer implementation after delivery of the gap? A gap analysis compares your actual or current performance with desired, or optimal, performance. In other words, a gap analysis is a comprehensive assessment of your current state versus future state. When we perform a competitive gap analysis for a website, we’re identifying how your website stacks up online against your competitors (both industry-specific and anyone else who might be appearing above you) and what you can do to improve your position. Share with us: Who are your competitors, whether direct, aspirational, or indirect? The more you can tell us, the better. 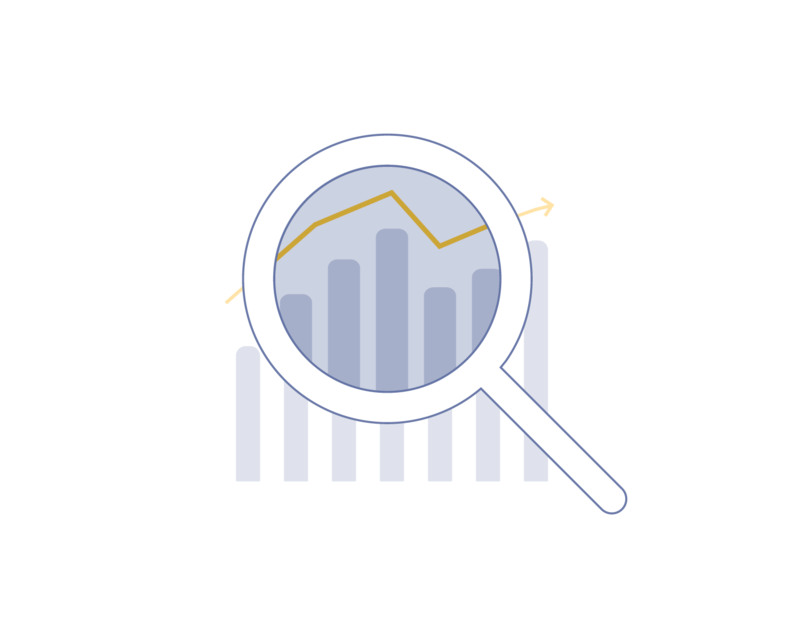 Data collection and analysis: We employ the most powerful tools in the industry to gather information about your website and your competitors then start analyzing. Results: We deliver expert analysis and a prioritized list of recommendations that often provide enough work to shape a year’s worth of SEO and content priorities. The more competitors you provide for a competitive gap analysis, the more information we can gather. We recommend you provide a minimum of two direct search competitors and one indirect competitor. How do you define online competitors? Your direct competitors are typically those whose service offerings or products are similar to your own. While there might be some differences among those factors, you’re likely aware of their standings within the industry. Your aspirational competitors are those that you’re now only hoping to compete with. A gap analysis is designed to elevate you from your current search rankings to ranking among those sites. Indirect competitors are often less easily identified, which is where we come in. You might not even realize that they are competitors because their services or products are outside your industry or scope. These less obvious competitors are grabbing the attention of your intended audience because their content is ranking for similar queries and search results. Do you need access to our analytics? We would like full permissions to access your Google Search Console account for the initial data collection, but additional access is not necessary. How long does it take to deliver the final competitive gap analysis? The first step is to schedule a discovery call so we can get to know more about your site and goals. During this call, we’ll explain what the gap analysis process entails. Once the contract is signed and payment received, we’ll schedule a kickoff call. Then the work begins—we’ll usually deliver our findings in about 30 days, though larger sites may require a longer turnaround. Current state analysis. This is an overview of domain authority and position within your industry, current ranking keywords and achievable difficulty level, and backlink profile and social reach comparisons. Future state recommendations. This includes keyword targets based on existing and missed keyword opportunities, and new content opportunities based on industry trends and aspirational objectives. Project-specific strategy. Comprehensive recommendations designed to hit your marketing objectives and align with your team and technical capabilities. Data sources and methodology. You will receive an Excel file of the raw data used to conduct analysis and develop our recommendations. The Outspoken Media team will present this information on a call in which we review the material and answer any questions you have. If you intend to share this data and analysis with a larger or executive team, we can provide an additional high-level presentation of the gap analysis’ findings and strategy recommendations (let us know if you’d like us in the office, we’re happy to travel). Let us know early on, and we can factor your needs into our quote and timeline. Do you offer implementation services and consulting after delivery of the gap analysis? Absolutely! Once we have presented our findings, we can work with your team to implement those recommendations, or we’ll continue the relationship on a consulting basis for content strategy, SEO consulting, outreach, and more. If you’re ready to get started, click here to hire us.